Hyperforin, or St Johns Wort, is a yellow-flowering perennial herb indigenous to Europe that has been introduced to many meadows across the Americas. The common name derives from the traditional flowering/harvesting date on St John’s day, or June 24th. The plant is grown in some regions of Southeast Europe, but is listed as a noxious weed in over twenty nations. Ingestion of Hypericum by livestock can cause photosensitization, depression of the central nervous system, spontaneous abortion, and can even lead to death. However, human use is quite common for a number of ailments. Hypericum is commonly used to support depression and anxiety disorders. In homeopathic medicine, it is used for numerous medical problems, though the success rate has not been documented well. Historically, the flowers and stems of the plant were used to produce yellow and red dyes, as well as an anti-inflammatory, astringent, antiseptic, and herbal tea. St Johns Wort is widely used as an herbal aid for depression, and in some countries, such as Germany, Hypericum is prescribed for mild depression much more often than synthetic antidepressants. In most countries, over-the-counter standardized extracts are available, normally in the form of tablets or capsules, but also in tinctures and teabags. 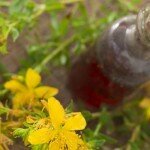 St Johns Wort may be consumed in capsules or tablets, liquid extract, or in tea. The major active constituents in Hypericum are believed to be hyperforin and hypericin, though other biologically active agents present, such as flavonoids and tannins, may be involved as well. 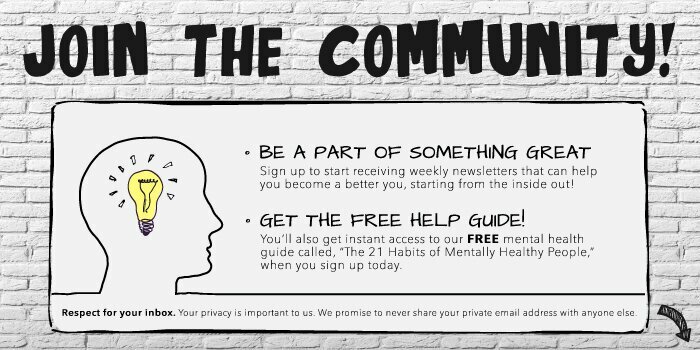 The precise mechanism by which St Johns Wort functions is unclear and subject to different interpretation, but is believed to involve inhibition of Serotonin (5-HT) reuptake, much the same as conventional SSRI antidepressants. Some believe that Hyperforin is the major constituent responsible for the antidepressant qualities, and it has been shown to inhibit the uptake of 5-HT, noradrenaline, GABA, dopamine, and glutamate. In addition, a hyperforin-free extract of St Johns Wort (Remotiv) has been shown to have substantial antidepressive effects. Daily usage for Hyperforin varies widely between different formulations, due to variability in the source and preparation. Generally, the dosages in clinical trials range from 350mg to 1800mg daily. In dried herb form, the recommended dosage (by the British Herbal Association Scientific Committee) is 2-4 g three times a day; liquid extract is 2-4mL three times daily; tincture is 2-4mL three times per day. 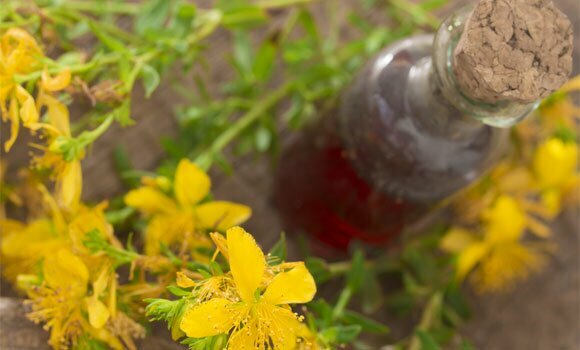 In addition to this, some over-the-counter brands of St Johns Wort may have completely different chemical profiles from others. Generally, Hyperforin proves well tolerated, with the most common adverse effects reported to be gastrointestinal symptoms, confusion, dizziness, and fatigue/sedation. St Johns Wort has been known to cause photosensitivity as well. This can lead to some visual light-sensitivity and lend to sunburns in situations where this would not normally occur, but this incidence seems to be rare.